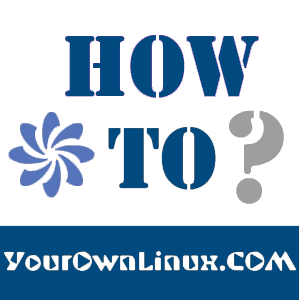 How To: Install AMD Catalyst 14.4 and 14.6 Beta on Any Distro with Linux Kernel 3.15 ~ Your Own Linux..! Now that Linus Torvalds finally announced the release of Linux Kernel version 3.15 STABLE, most of us want to install it right away, but then we remember "Dang, AMD/Nvidia doesn't support it yet" and we feel a little bit down for not having an Intel based Graphics card... until now! We here at Your Own Linux have just found a way of installing AMD Catalyst in Linux Kernel 3.15! 3. Download this patch (by the author) and put it in your user folder (/home/Your-username-here). 4. Unzip the AMD Catalyst Graphics Driver and change to the extracted directory (Should look something like fglrx*). 5. Add execute permissions to amd-catalyst-*.run. 7. Change to catalyst/common/lib/modules/fglrx/build_mod directory and keep the patch (the one you downloaded earlier) there. 8. Run patch -p0 < 3.15_kernel.patch on the terminal. 10. Reboot the system and enjoy your new AMD Graphics with Linux kernel 3.15! My name is Emanuel Vitorino, I'm 16 years old and I'm a Linux user since I was 13! I've been exploring this great new world and learning new things, currently I'm taking a course on Computer Engineering in my High School. I am from Portugal. did you copy the patch to catalyst/common/lib/modules/fglrx/build_mod ? does this work on kernel 3.15.6 stable, as in no mod needed to the patch? hi,for me its working, but i have question?can u make patch for 3.15.6... its stable officially(kernel.org) or can i just update kernel?